As doomed technology companies go, Apple has it pretty good — record revenues, category defining products and seemingly unshakeable mindshare. For example, the mere whiff — iPad 5 spy pics — of their next generation tablet is enough to generate headlines and dominate the tech news cycle. And, what we have here is an early stage 9.7-inch iPad backplate that, throwing caution to the wind, could part of Apple’s fifth generation tablet. 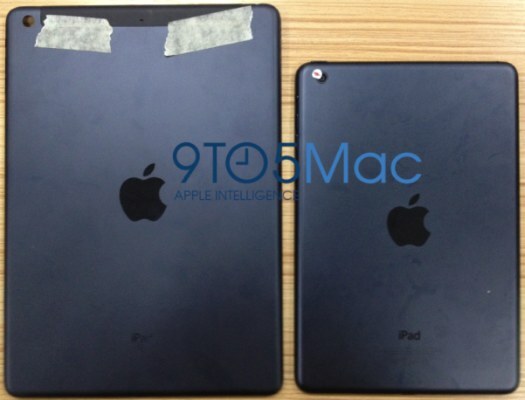 Previously, next-gen iPad parts began appearing three to six months before the final product shipped. With competition heating up, the purported imminent arrival of the 128GB iPad 4 makes a lot of sense — an interim release to keep things fresh while Apple readies their next big release.